SageTech can capture the anaesthetic agent at the point of use, to improve recycling to enable immediate reuse. Factories, air travel and plastic overuse are known offenders when it comes to environmental emissions, but a relatively unknown and significant source of emissions can be found in the modern anaesthesia used in hospitals. Global anaesthetic emissions contribute 3 million tonnes of carbon dioxide equivalent every year. The NHS’ anaesthetic emissions are equal to the emissions from the commute for all 1.3 million NHS staff. Co-founded by anaesthetist, Sebastian Brown and entrepreneur, Mark Rushworth, SageTech Medical Equipment has developed a way to capture, extract and purify waste anaesthetic agents used during surgery. It will use support from the Industrial Strategy Challenge Fund to revolutionise the way hospitals across the NHS and globally deal with the waste produced from delivering anaesthetic agents to patients. SageTech will lead the project with support from the European Centre for Environment and Human Healthcare, part of University of Exeter Medical School, and the Royal Devon and Exeter NHS Trust. We are capturing the agent immediately from the back of the anaesthetic machine. The hospital itself will then be able to process its own waste for collection using our extraction machine. The funding is part of the leading-edge healthcare challenge, which will invest up to £181 million in industry and research to create new products and services for improved medical treatment in the UK. This is part of government’s Industrial Strategy Challenge Fund, which is delivered by UK Research and Innovation. 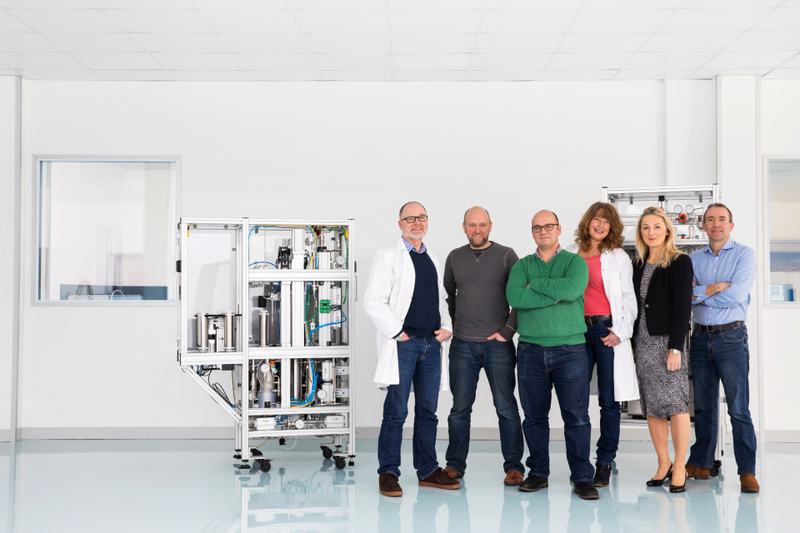 The SageTech team is supported by the European Centre for Environment and Human Healthcare, part of University of Exeter Medical School, and the Royal Devon and Exeter NHS Trust. Surgery which requires patients to go under anaesthesia – a medically controlled state to enable the painless performance of medical procedures – is resource intensive. It also produces a significant amount of waste. 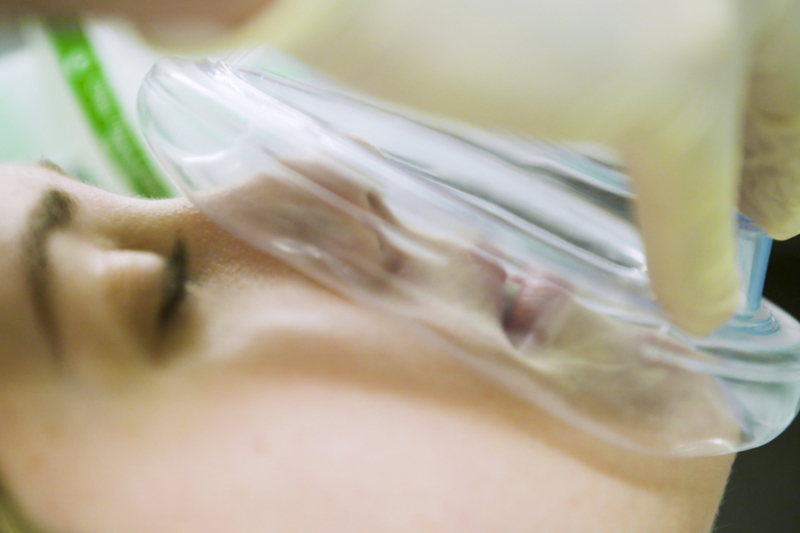 The UK spends about £50-60 million pounds on volatile anaesthetic agents per year. But less than 2.5% of that agent is metabolised by the patient and the rest is vented from the back of the anaesthetic machine to the atmosphere outside. The global warming potential of desflurane, which is our most modern anaesthetic agent, is over 2,500 times that of carbon dioxide. Even though these types of anaesthetic agents are potent greenhouse gases, capturing their emissions is not currently enforced under environmental regulations because they are for medical use and a solution to their capture and reuse has not yet been found. The most modern anaesthetic agent, desflurane, has over 2,500 times the global warming potential of carbon dioxide. 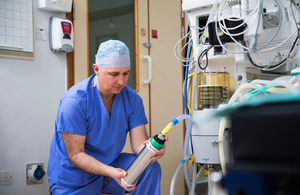 SageTech’s technology uses canisters to capture waste agent from the anaesthetic circuit, and an automated extraction machine to prepare it for collection. It can also purify and re-bottle the anaesthetic agents for reuse. The tech can be integrated into existing anaesthetic machines to provide capture at the point of use. The firm’s long-term goals are to develop the technology to recycle anaesthetic agents at point of use, so they can be immediately reused by the same patient. Find out more about current funding opportunities and apply. Read about more successful businesses supported by Innovate UK.